Rye adds to the bread a special flavor. It remembers you of country breads and it travels your mind back in time in your childhood when you were visiting a relative on the country side. At least this is what it happens to me when I taste a rye bread and I can say that is one of my favorite grain for bread. This is again a straight sourdough bread that requires less time than classical ones as it contains rye. Final fermentation in lightly floured bannetons 1h at 24ºC. 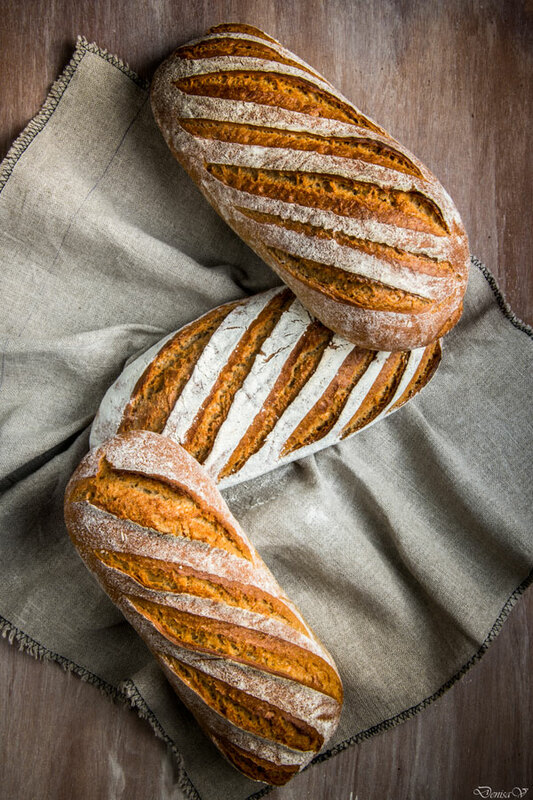 This recipe was inspired from Le Larousse du pain - Eric Kayser, page 89.